I’ve also been enjoying the “big thigh” Olympics, even more for the fact that they’re in our timezone. There’s been no winter theming in the games played however … apart from frosty receptions for some! A pleasant tile collection game, but I don’t understand why it’s so highly rated (seemingly over and above the normal newness-bias of BGG ratings). The collection mechanic and the way it works into the tile placement process on your mat feels fresh and very neat, no doubt. But it’s still just a set collection game – observe what other people need, and either get there before them or take other tile sets, judging how long you can take before you need to pick the ones you really want. And work towards completing your sets. It’s not a game the family is going to love given how abstract and quiet it is, and how observant you need to be to do well. It’s too long for a filler/opener, and not enough theme or oomph to be a game-night centerpiece. I mean, it’s an abstract tile collection game. Neat and enjoyable, and I’d happily play it anytime someone requests because it does it well, but it’s not something I’d seek out either. Turns are simple and reminiscent of Castle Panic. Monsters line up around the outside of the castle, one being added at the end of each turn. The aim is to kill an enemy each turn to keep pace, which is hard to begin with so they bank up, but become easier later on once you’ve built up an arsenal of artifacts and spells as a result of your kills (basically powers that either improve your ability to collect the required resources to kill an enemy, or kill an enemy for fewer resources than listed). Then it’s a matter of communicating plans and co-ordinating affairs between the players to minimise the number of collective non-kill turns. It’s not overly complicated and doesn’t provide much scope for cleverness, but it rolls along pleasantly and you need to be careful in the tricky end-game, no matter how well you’ve done, to ensure it doesn’t spiral into a loss. Happy to play along (and a touch puzzled at how low it’s rated on BGG). I had hopes that this might be a nice relaxing game to play with my Mum, who’s played a fair share of Mahjong Titans in her day, but it turns out to be further evidence that attempts to turn solitaire ventures into multi-player games rarely turn out well. See Sudoku. The game-play is much the same as the computer game – slide a pair of identical tiles to the sides to claim them (but one of them must be on the top row). Then place them into your personal tableau, and either choose to score them (if you have enough in that colour), or choose to place them in such a way so as to enable the formation of a scoring group later at a more effective points/turn ratio. If you do the former, you get the chance to build upwards (on top of previously scored groups), and higher columns can score more points. In the advanced game, you’ll also want to build towards the bonuses, so there’s some planning and choices involved. This is the best feature, because turns are bland – claim the tiles you need for your plan, and if you can’t, check out what other people are collecting and either pick what they want if it’s a one-off, or go in a separate direction in an attempt to build more later. There’s some satisfaction in executing your building plan, but it’s a quiet game and that’s what you’ll want to be after, because otherwise it’s without a lot of joy, tension, or excitement. The love for trick-taking games is that every hand is a new challenge and there’s always something to chat about with the other players after. It’s a fun social. I never thought that a 2-player trick-taker would be successful, mainly because you either know where the cards lie or there’s too many cards taken out to make it much more than guess-work. But I’ve really liked this implementation. The card effects are great – rotating the lead, forcing play, changing trump, etc – just the right number to make you think carefully about your lead. And I love the point scoring system, where you can score well with both low and high hands, but you still need to arrange things such that your opponent wins just enough tricks to take them out of the misere bonus range, but fewer than you. As well as managing the intra-hand scoring (ie win those 7’s)! They’re easy rules and it plays in the right timeframe. The only reason for not rating it higher is that in a two player game I’m usually after a more thematic adventure, plus I’m unsure yet what kind of legs it has. But this would be a great game to play while travelling for example and I might still yet pick it up for times like those. There’s a lot to love about this game. It’s a tactical dungeon crawler, sure. But the decisions each turn are hard and meaningful (unlike most dice-based dungeon crawlers which are more play-it-for-the-ride games). It can be agonising trying to get the right action combination for yourself and for the team for this moment, plus keeping enough powder dry for future, plus trying to find the right balance between earning personal XP versus what might be better for winning this scenario (and earning group XP) – often the same, not always. There’s just the right amount of variance for your plans to play out mostly as expected but with enough surprise to maintain tension. I’ve tried the random dungeon generator, but setting up each room (with new monsters) is too tiresome so I won’t be pulling it out for casual gaming. I’m hopeful that the campaign scenarios will provide enough variety in tactical challenge to keep us engaged, and not just same-same, on top of the character and monster variety provided. I’m a legacy campaign fan, so I’m looking forward to becoming more engaged with the storyline and letting it paint a context such that the game becomes more than just the tactical endeavour. If it’s just glossy background, the game will diminish for me; if it can portray a real world and my position in it, the more I’ll enjoy. I’ll be giving it every chance. 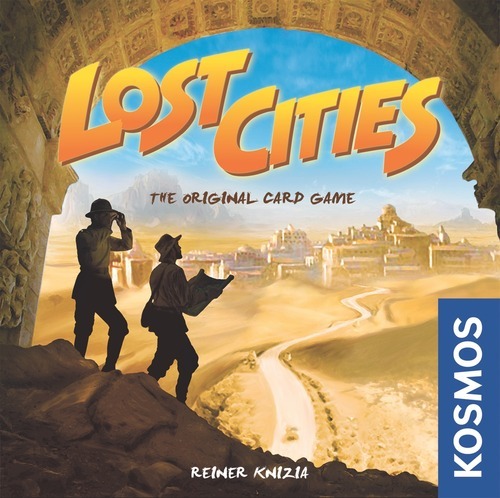 The components are a massive over-compensation, trying to hide the fact that this is a pretty average game with a generally non-loved mechanic – being that each round, the players secretly choose a location and simultaneously reveal. If you’re there alone, take all the location’s resources. If you’re with others, split the resources. So there’s your first dosage of high-end groaner luck. So how do we balance that? We introduce a bunch of take-that cards so the “lucky” ones get hosed. Except the take-that cards are usually based off location anyway, and therefore it’s another lottery on who gets hit. It’s so much fun when the person coming last get hits again! Ahh, but the components will blind you to all this, and fill your game with fun I’m sure. It’s ok for a while, but we’ve played this game in many guises before. It’s a rising escalation game, trying to be the first to clear your hand. But half your hand is on the table and can’t be picked up until the deck is empty. Which makes the first 80% of the game (the going through of the deck) mostly irrelevant except to hold onto cards that might help in the end-game. Oh, and try not to be the one picked on by the “give the stack to an opponent” effect. So yes, it’s take-that as well, where effects screw with your world. And if you have hard-to-play cards on the table, which is complete luck, you’re hosed in the end-game anyway. It just seemed that most of the play was pointless unfortunately. The final insult is that everyone wins bar the last player with cards in hand, adding to the pointlessness. The game was lost on me. Further, it does nothing to advance best human knowledge on how to pronounce R’lyeh. This provides a very different Pandemic experience, cleverly provided within the same Pandemic card / epidemic structure. The major difference is that you’re putting out cubes (resources) instead of removing them, and if a city without resources gets revealed at end-of-turn, it breaks. The feel of the game though feels wilder. With fewer cities, cards are repeated in the decks, and quick successions in the same city will stuff you no matter how well you’re playing. It’s offset by the fact that you don’t need to move around as much. But this is offset by the fact that it takes longer to collect and distribute resources than simply to remove cubes per the original. While there are still clever risk-management plans to conceive and implement, which is the charm of the game, some of these games have just smacked us too hard, too quickly, and ended up proving an exercise in futility. I love the legacy aspects, deciding on strategic improvements at the end of each game. But I’m hoping the rest of the season picks the game up, because I don’t want too many more games that end after each player has had two or three turns due to rotten and unavoidable card draw luck. I’m still going to enjoy the season but the rating is down compared to Season 1 so far. 150+ plays. We had a 3-generational extended family holiday in Cairns recently, and Lost Cities once again showed how popular it can be with all ages, gamers and non-gamers alike. It’s one of the great 2 player spouse games. It’s light enough to play fast but there inevitably comes a few agonising decisions over how long to hold out for better cards (vs giving useful cards to your opponent via the discard pile vs playing too early to a colour and limiting your score in it). The other hard decision each hand is whether to play safe or risky (by playing multiplier cards on a suit that you may score negative in if you don’t get the high cards). There’s no direct pussage and there’s limited interaction, but your plays generate enough interest and tension (from time pressure to maximise your score before the deck runs out) to warrant a ton of replay. James Nathan: Pandemic Legacy: 2 is a real treat. We began plowing through Charterstone and PL:2 concurrently – planning on around 2 games of each, every week until we were finished. And, well, we haven’t played Charterstone in some time, and got together extra days because we just couldn’t get enough PL:2. It’s becoming a singular game for me. I loved PL:1, but I think in a sense I dismissed it as some sort of albatross, and so while I knew we would get to PL:2 one day, I wasn’t in a hurry, and certainly expected to be somewhat disappointed. My regular group didn’t care for Seafall, and we’re mixed on Charterstone. For me, while I’ll certainly give Queensdale a try, I think I’m finished with non co-op legacy games. I’m frustrated with mixed goals of winning the current game, losing the current game to get extra upgrades, and trying to win the campaign. I’m frustrated at the reset each game. I’m frustrated at the lack of narrative structure in non-PL legacy games that don’t strictly control the order of reveals. I’m frustrated at the conversion of board games into app games of a sort with tutorials that walk you through a basic game, and then add something, and then a little while later add something else, and then something else, but never get to a game I want to play. PL:2, as with PL:1, largely stands alone at how compelling the “just one more game” feeling is. PL:2 added several relatively basic and simple mechanics to the basic structure that created opportunities for thoughtful decisions – let alone a certain anticipation of what may go wrong down the line based upon the choices we’ve made. The emotional impact of PL:2 was palpable, and I just love it. Jeff Lingwall: Having just started into Gloomhaven, I can attest there’s an excellent game there. Of course, the price tag should include back surgery after lifting it. Pandemic Legacy 2 is also excellent, and between those two games I’m not sure how anybody has time to play anything else. Azul: I am with Patrick; I just don’t understand all the love for this game. There’s nothing wrong with it and it’s very pretty, but there’s nothing new here and a little bit too much randomness towards the end of the round for my liking. If others want to play it I would agree to do so, but I’m not rushing out to buy it or suggest it. 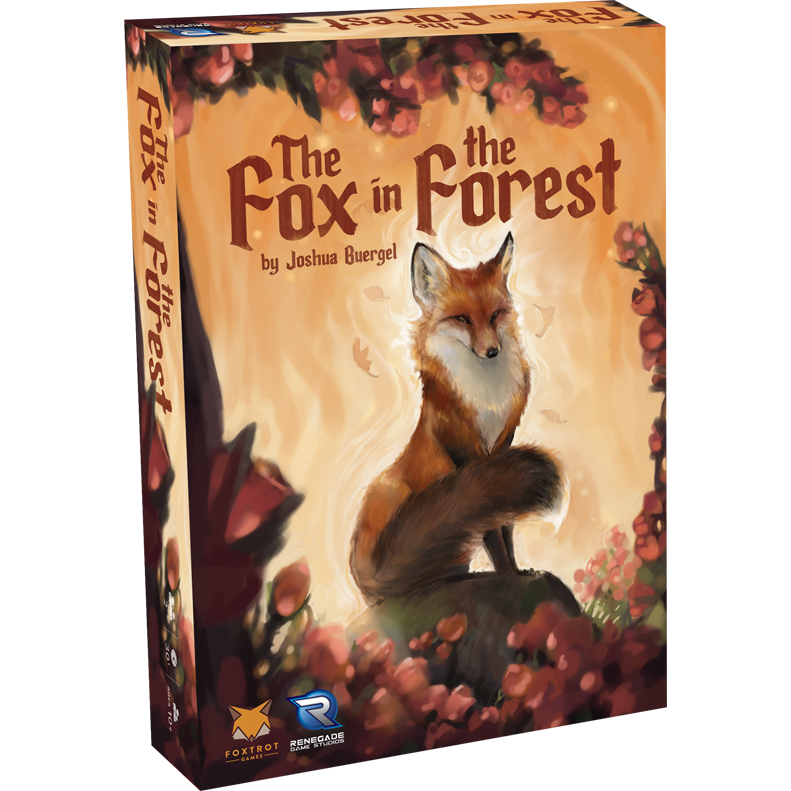 The Fox in the Forest: I love this one. I was highly suspicious that a two-player trick taking game could work, but it does. The card powers ensure things change enough to keep this interesting. 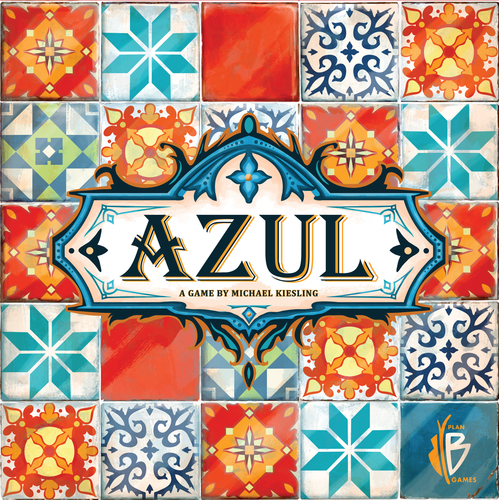 Azul: I really enjoy this one. I find the tile selection mechanism, which often requires careful analysis of what your opponents need, is excellent and quite engaging. No, it is not on the deeper end of the strategy pool, but it still takes planning–and a bit of luck–to do well. It has proven very popular with the dozens of folks with whom I have played. It really should be a candidate for the Spiel des Jahre. Azul: This is a game with fantastic production qualities which really take it above what is a reasonably simple abstract game. It is easy to explain and plays quickly but has enough strategic and tactical decisions to make a popular choice whenever someone suggests the game. I am looking forward to the re-print so that I can get my own copy and not have to rely on the one copy in my gaming group! Gloomhaven: I must be in the minority with my views of this massive dungeon crawler. Whilst I appreciate the clever design of the combat mechanic, I find the whole combat far too slow. If I am looking for a quick alternative to D&D, then my preference would be for Descent which plays faster albeit without the depth of story arc. 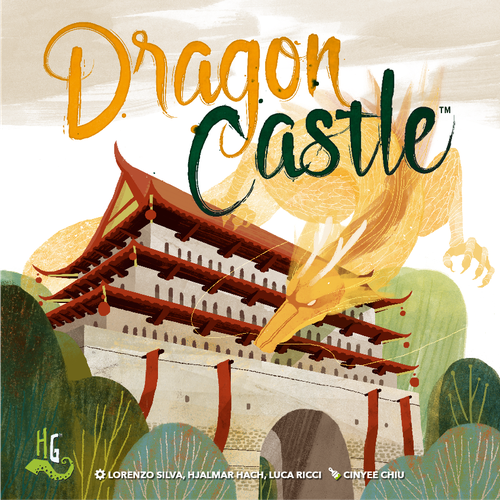 II havenbt played Dragon Castle yet, but “Siggl” from Capsicum Games is a good take on this Solitaire-.Mahjong/Shanghai-Theme imho.